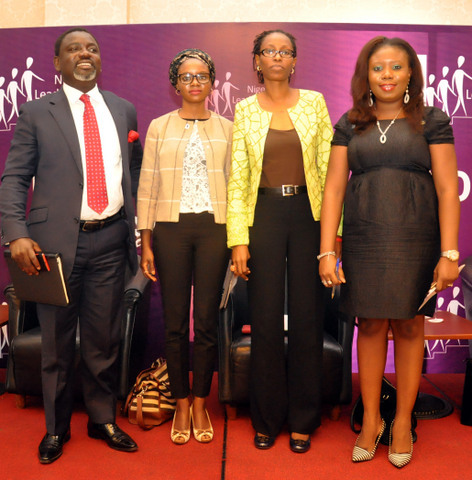 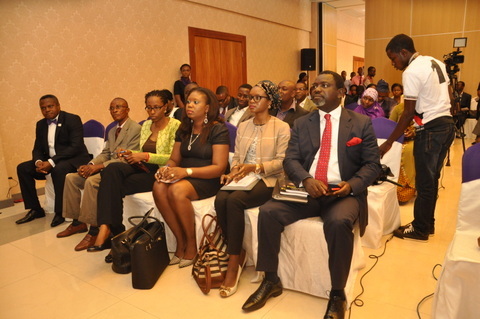 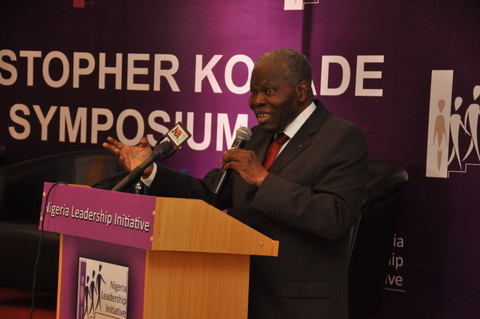 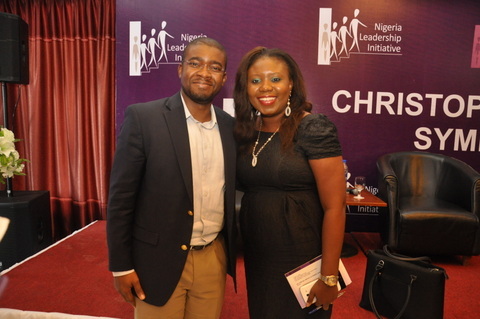 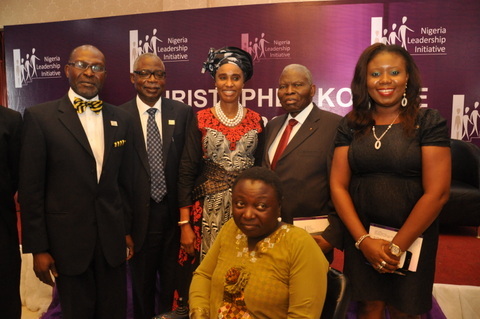 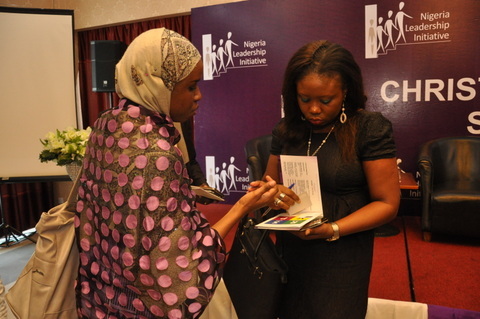 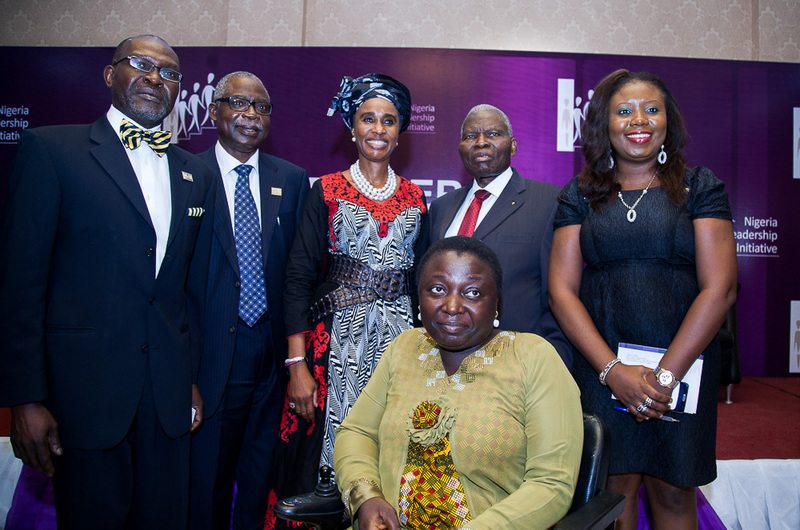 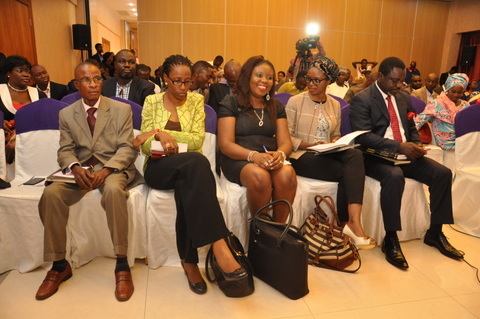 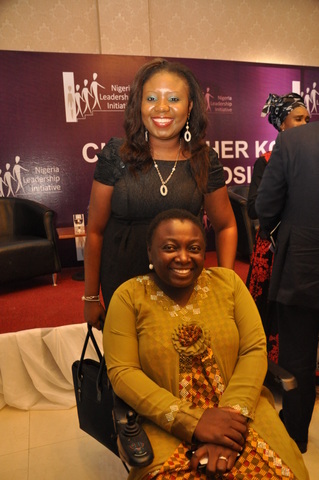 The 6th Christopher Kolade Symposium organized by the Nigerian Leadership Initiative (NLI) took place on Thursday Dec. 4th at the oriental hotel skyline terrace 1, Victoria Island. 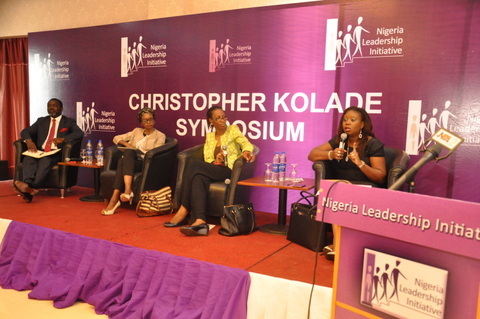 The Christopher Kolade Symposium aims at enriching the discourse on the best ways to make leadership effective in Nigeria.  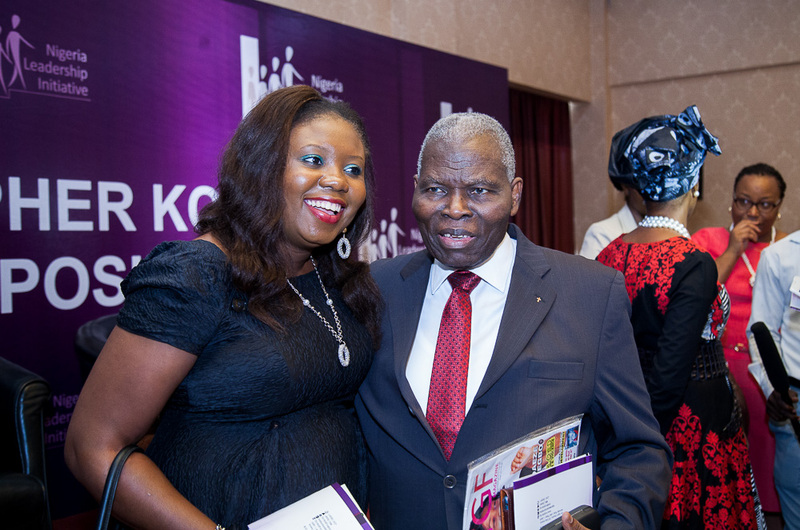 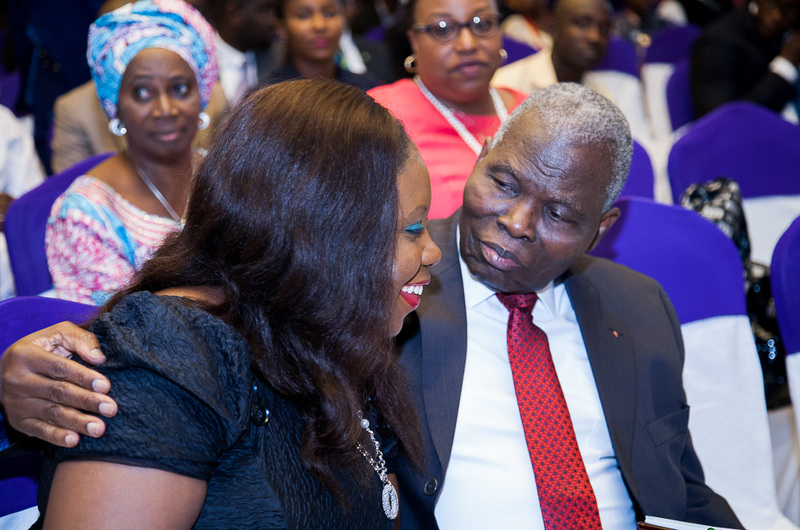 It is organized in honour of Nigerian Leadership Initiative’s Founding Patron, Dr. Christopher Kolade, whose achievements in both public and private spheres, as well as his personal example, have set a high benchmark for outstanding citizenship. 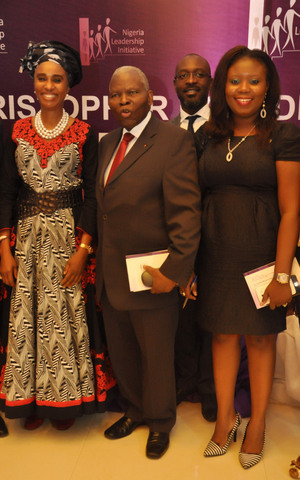 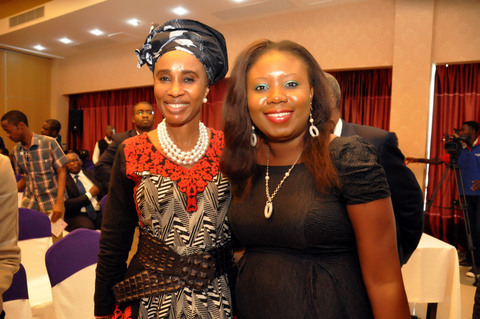 with Mrs Evelyn Oputu Former Managing Director Bank of Industry, Dr Christopher Kolade CON Chairman Nigeria Leadership Initiative Board and Jinmi Sonuga MC of the event. 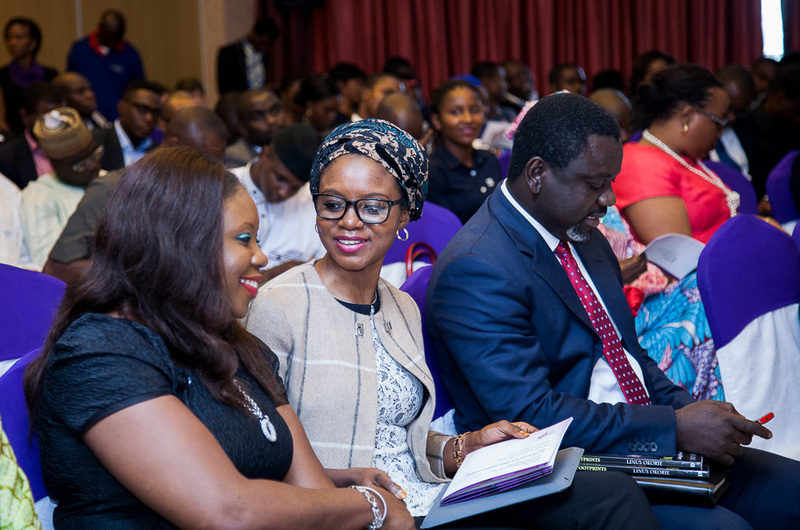 The intent of this symposium is for it to become a major forum for healthy debate on key issues relating to public service in Nigeria, as well as a starting platform for the discussion and development of relevant practical national policies. 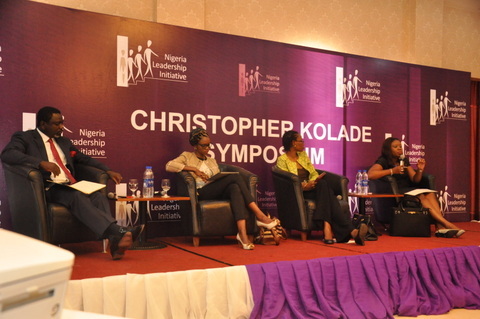 Panelists : LINUS OKORIE President/Founder of Guardians Of The Nation International, ZAINAB USMAN Bsc Msc D Phil Student International Development, YEMI ADAMOLEKUN Executive Director of Enough is Enough Nigeria and Mrs Toyosi Akerele-Ogunsiji Founder/CEO Rise Networks. 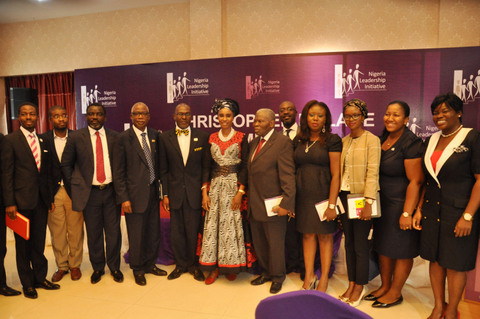 Group photograph with Guest speakers, Panelists and other Participants.